Need a hand with choosing the right security option for your windows? Window locks are great for not only keeping people out but also some in. Accidents can happen with children climbing through windows and locks can help with minimising their ability to play with the window. There is a variety of products available on the market and it can be daunting trying to figure out where to begin. 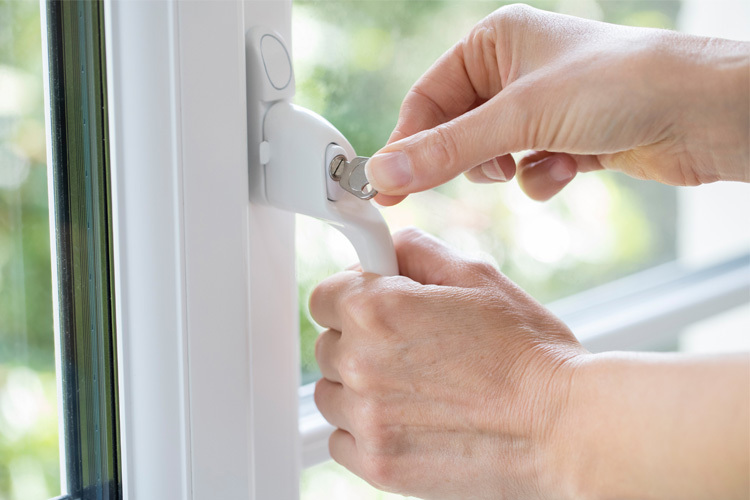 Read on for some things to look out for when seeking the best window locks for your property. What are your windows and their frames made from? Firstly, identify the material your window frame is made out of. In Australia aluminium and timber are a popular window frame material choice. Ensure that the window locks you choose have been designed to suit your window’s materials so that it works correctly. There are four common types of windows. They are sliding, swing (hopper), sash (double hung), and casement. Understanding the different styles and which ones you have in your home is necessary for choosing the best security options. Sliding windows usual feature two panes of glass. One which is fixed in place and the second pane is able to be slid across within the frame. There are a range of specific locks designed to suit these types of windows. You may also find a push lock or bolt lock that is also suitable for use on this window. Awning windows open outwards and are hung from the top. These are a popular window style which means many, many products to choose from. These range from bolts, winders, push locks, and fasteners. Depending on the style of your awning window a winder may be a better option as it allows you to control the depth of the window opening with ease. Take into consideration how you like to use your windows, how your awning window functions best, and choose the option that fits with your lifestyle best. Sash windows are similar to a sliding window sash. These windows slide upwards rather than across. The upper pane of glass is fixed in place and the second pane moves up within the frame. Cable restrictors and Fitch fasteners are popular lock choices for these window types. Casement windows are either stand alone or in pairs within a single window frame. They windows are hinged on one side opening outwards in a motion similar to a door. Push locks or bolt locks are common choices for securing this window style. There are many products out there for each window style. If you require further assistance with selecting the best locks for your windows please contact us and we will help you out.